MDC Alliance co-principals have stood in defence of coalition leader, Nelson Chamisa who has come under fire for his unguarded name dropping tendencies and for issuing superfluous promises if voted State President. Since launching his presidential bid a few months ago, Chamisa has been linked to threats to throw Chinese businesses out of Zimbabwe and claims Donald Trump and his US government have pledged a $15 billion stimulus package for an MDC led government. Zimbabwe's youngest presidential hopeful has also been scorned for promising to marry off his 18 year old sister to President Emmerson Mnangagwa should the latter scrap a 5 percent vote in the July elections. Lately, Chamisa was forced to defend claims he had a hand in the crafting of Rwanda's ICT policy, something that elicited a denial from the east African country's President, Paul Kagame. Chamisa has also promised to introduce bullet trains and airports if elected President, something which his critics find as too ambitious given the country's rundown infrastructure, massive jobless and an economy that is on its knees. But speaking in separate interviews with NewZimbabwe.com, leaders of parties that have signed up to the seven party pact said they were firmly behind their presidential candidate whom they said was being vilified by a pro-Zanu-PF state media. 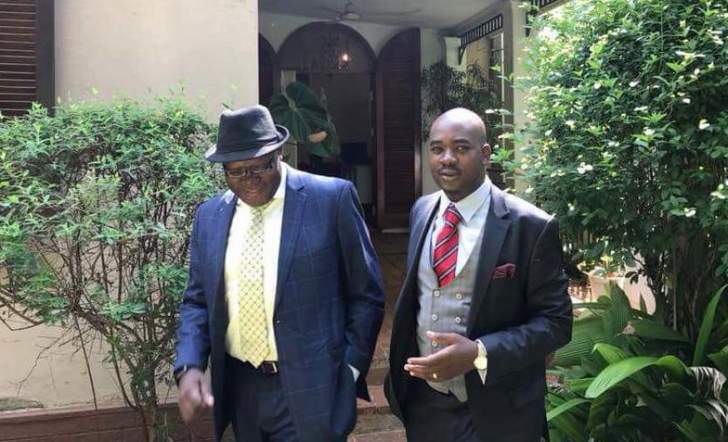 Former finance minister and PDP leader Tendai Biti said he supported Chamisa "2 million percent" adding that most of the latter's statements were being twisted.